When people are asked to name living organisms that can change their colors and appearance to either blend with their surroundings or turn off predators, most people would mention the chameleon. 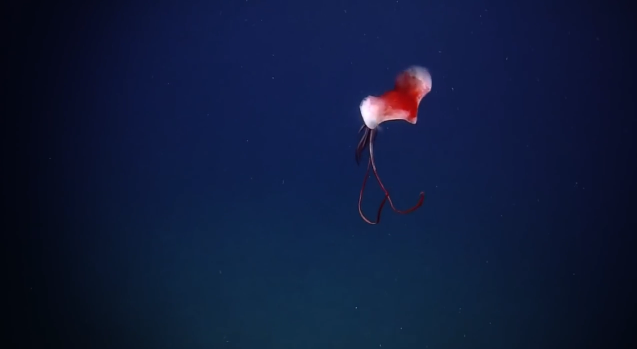 Not many people are aware that there are organisms in the depths of the ocean that can equal if not surpass the color-changing abilities of the chameleon. One of such organisms is the squid. Squids and other cephalopods like octopuses and cuttlefishes are capable of changing their skin colors in the blink of an eye. Turning from red to white or white to red can take just a few seconds. They often do this as a defense tactic. By matching their skin tones with their surroundings, they can render themselves invisible from possible predators. In the absence of predators and other threats, they can change their colors to simply stand out. This remarkable transformation is because of the presence of what's called chromatophores in the skins of cephalopods. These are thousands of color-changing cells. A marine biologist named Michael Bok was able to capture in video what these cells look like under a microscope and how they change colors. 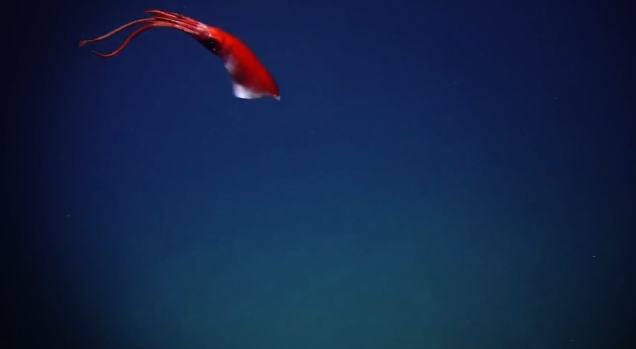 The crew of the ocean exploration ship Nautilus was also able to capture on video a squid quickly changing from red to white then white to red. 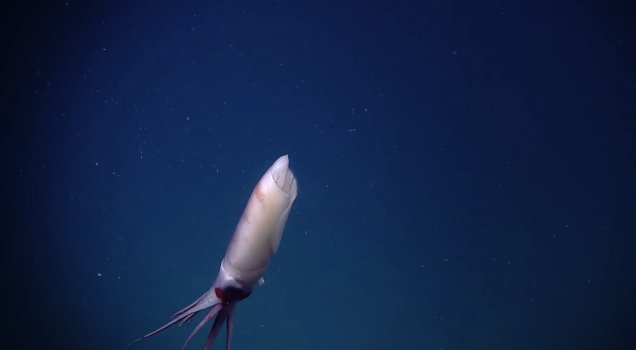 Approached by equipment from the exploration vessel, the squid turns white to adapt to the surroundings. 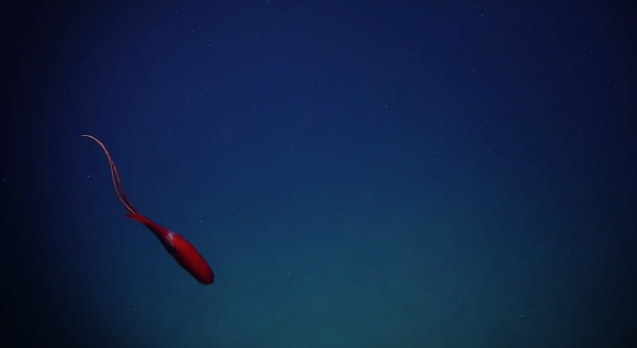 As the vessel moved away, the squid returned to its red color.